The freshest local seafood awaits your taste buds. You'll experience elegant waterside dining along the Chincoteague Bay or Assateague Channel. 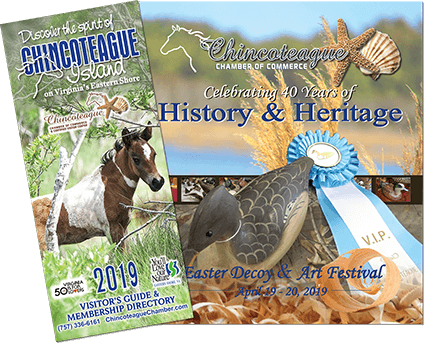 Some restaurants are near island shops offering the finest of seafood, steaks, finger-picking crab feasts, fabulous breakfasts, savory snacks - plus chef-owners who can provide catering services for your meetings or conferences here on Chincoteague Island. Oysters, clams, scallops, crabs and the freshest "catch of the day" are featured fare on most menus. Gourmet sandwiches, delicious subs, wood smoked BBQ are other offerings for lunch and dinner. For a real treat, try one of Chincoteague Island's fine ice cream parlors. All restaurants are closed Christmas Day to spend time with their families. Enjoy the convenience of a delicious Party Platter for your Holiday gatherings. Poseidon's Pantry Gourmet Grocery & Deli - CE 11 a.m. - 4 p.m. NYE 11 a.m. - 4 p.m.